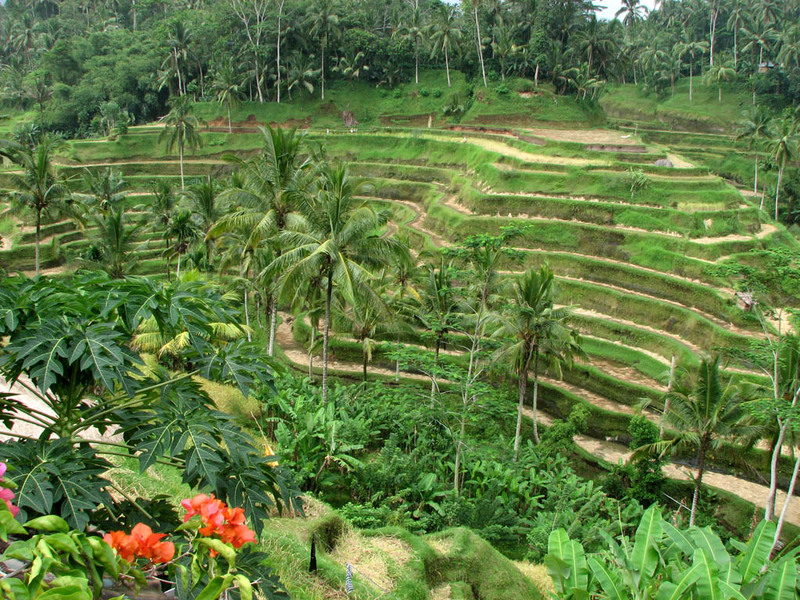 Ubud is known as a small town, a vacation/holiday spot with the feel of the real Bali. Enjoy the beautiful terraced rice paddies. Kingdom of Ubud, the birds in the wild, art markets, and many other beautiful places. 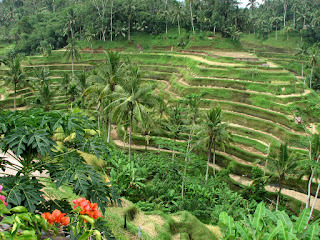 Ubud has always received the title as a memorable vacation destination. Holiday in Ubud unlike in other cities on earth. Because the city is filled with a sense of art and traditional. Residents Ubud is also known to be very friendly toward strangers. Building with Balinese architecture. Activities of people who are full of reliji and art. 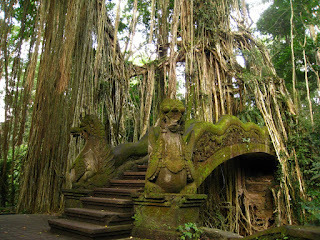 So, it is not wrong if you choose Ubud as a prime vacation/holiday destination when to Bali. One of the places of interest in Ubud as a vacation spot is the Monkey Forest. This place is a protected forest area inhabited by a herd of monkeys. Types of monkeys in this forest is a long-tailed monkeys. Although including wild animals, but monkeys in the jungle was very friendly and harmless. They have been accustomed to humans, there is no fear, yet very aggressive with people who bring food. So be careful when signing into the forest while carrying food. Better not bring any food from being stolen by the monkeys at Monkey Forest. Do not let your holiday in Ubud become uncomfortable caused by monkeys that robs your luggage. 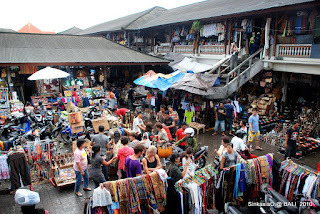 Prior to the Monkey Forest, you should visit the Ubud Art Market first. While on holiday in Ubud would not be complete without visiting this art market. Come early, because when morning traders in the markets perform rituals at the temple in the market area. Traders will pray with canangsari in temples. Routine activities during the morning by the merchants. Free attraction that characterizes the Balinese, when they will start activities in the morning. Holiday in Ubud can buy typical souvenirs of the Balinese to buy souvenirs at the Ubud Art Market. Holiday to Bali will be very memorable after enjoying the natural beauty of Ubud. One activity that will provide a different experience while in Ubud is visiting Ketut Liyer. Ketut Liyer is because people become part of the character in the movie Eat Pray Love. This man has the ability to predict a person's manner of palm reading. Ketut is also a painter and a traditional healer. Meet with Ketut Liyer is part of a trip in Ubud while on holiday in Bali. Bali holidays will be sensational after you meet with Ketut, take pictures with him, predictable, and becoming an attractive serita when returning home, and tell your thoughts to friends. Read also: Ketut Liyer Home Address in Ubud Bali. In Ubud there are many homestay for a place to stay while on vacation. Holiday in Bali do not need to be dizzy and confused to find a place to stay. Ubud has a lot of cheap hotels and homestays scattered dipelosok city. Stay in a homestay is the right choice. Because you can see the habits of life of citizens Ubud. From morning to night. Knowing what ordinary people do Bali. Live among the people of Bali are filled with religion and art.